Let’s begin with the premise of a rather successful and well-liked anesthesiologist whose personal life is a disaster. 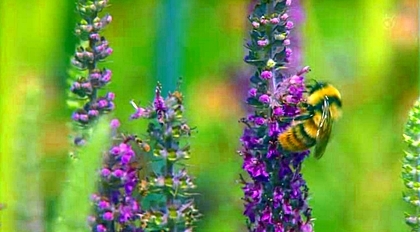 As an unreconstructed womanizer, he and women got along as famously as bees and flowers. Keep that in mind as it will become important later. Eight years ago, his wife committed suicide after getting wind of his latest affair. His children turned against him, his father turned against him, and he was told to get out-of-town and never come back. He’s not seen them since. Now in the present time, he’s been diagnosed to have pancreatic cancer, which has advanced to a level of 4b. What this means is that he has passed the point of having any kind of surgery or chemotherapy. He’s now on a countdown toward his own death. Doesn’t sound very promising does it? I must say that having read a similar plot synopsis about this Japanese TV Series, I was in no hurry to watch it. Life is short enough, and taking on an 11 week series of this kind, seemed to be not what I wanted to do. 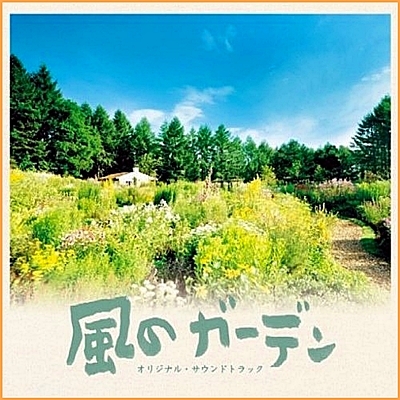 But after a series of circumstances that need not be detailed here, I found myself watching Kaze No Garden. Despite that this drama is cloaked in death, there is much to be admired in this series. In fact, watching it was very rewarding, so I am very glad that I did. 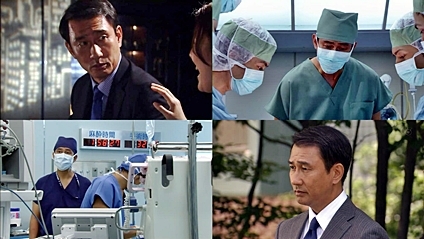 The lead, Dr. Sadami Shiratori (played by Kiichi Nakai) worked in the operating room at a famous Tokyo hospital was around death on a daily basis. His own father, Teizo Shiratori is also a doctor, and was played by one of Japan’s favorite character actors, Ken Ogata, who himself passed away recently in real life. Called Grandfather as he raised the estranged children of his wayward son, he practiced medicine in a small town on Hokkaido, Japan’s most northern island. His practice was limited only to terminal patients…in their own homes. He cared for them and helped both them and their families prepare for the ‘final journey’. That’s the background. 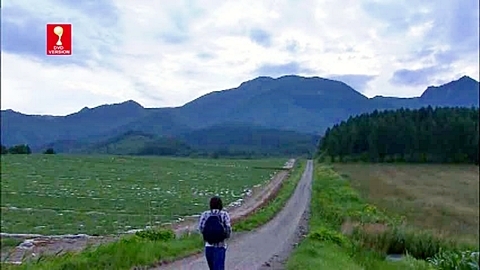 But much of this series was shot on location in and near Furano, Hokkaido, Japan – a real place known for its beautiful flowers, and forests. Every chapter was named for a specific flower. 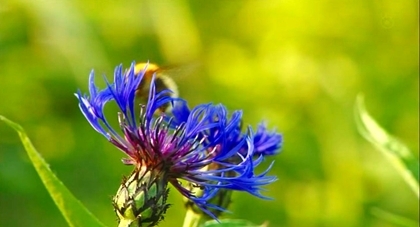 Even if you are not a florist or a horticulturist, or even a keeper of bees, you will find the many images and scenes involving flowers with or without the bees breathtaking. 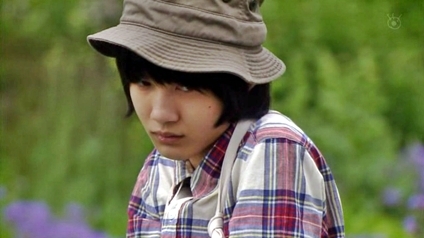 Dr. Shiratori’s son, Gaku (14), played by Ryunosuke Kamiki, was a prodigy about flowers. He was able to name any flower, in English, in Japanese, and even in the quite local flower language which was in fact created by Grandfather. In each episode, named after a specific flower, he would impart some lore and legend about some flowers that grew in this wondrous garden. 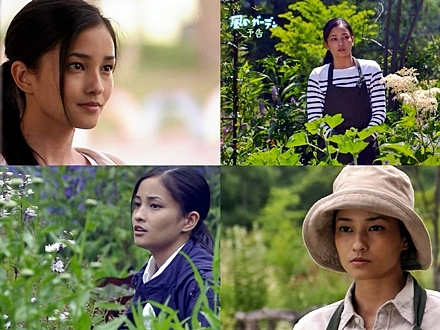 His daughter, Rui (21), was played by the beautiful Meisa Kuroki, ran their flower business. She too was quite knowledgable about flowers. 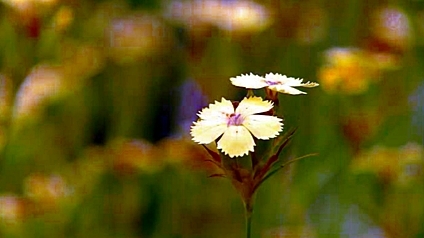 Visually, she is as pretty as any flower. The series was beautifully and lovingly shot amidst the splendors of this spectacularly gorgeous area. 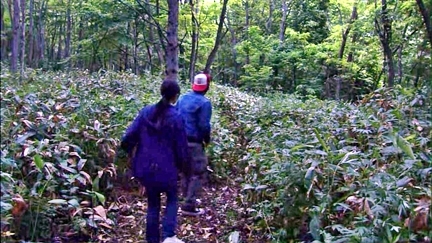 As we work toward’s Dr. Shiratori’s final moments, we are not burdened by his misdeeds. Instead we can immensely enjoy the fact that he was able to reconcile his differences with his family before leaving this world. This is simply a beautiful to watch TV series. If you’re living in a Northern climate these days, you’ll find this series will take you a warmer place spiritually if not physically. Highly recommended. 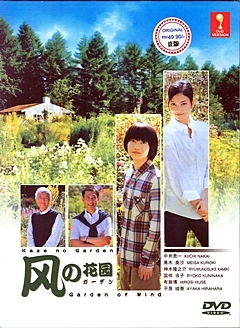 This entry was posted in Japan TV Dramas/DVD, Movie Reviews and tagged Garden of the Wind, Japanese TV Drama Series, Kaze No Garden, Ken Ogata, Kiichi Nakai, Meisa Kuroki. Bookmark the permalink.